The conventional wisdom out there on Web video advertising is that most advertisers don’t want to risk being associated with user-generated videos (i.e., the vast bulk of videos on YouTube) . It is only the professionally-produced stuff on portions of YouTube and Hulu and Blip.tv where the advertising dollars are going. This is the conventional wisdom because it is mostly true. But YouTube wants to change advertiser’s minds (because the vast bulk of its videos are audience-produced, did we mention that?). So in a blog post today, YouTube trots out a told-ya-so case study about the “JK Wedding Entrance Video” (embedded below) that has been spreading around like crazy. Since it was posted on July 19, it has been watched more than 12 million times. 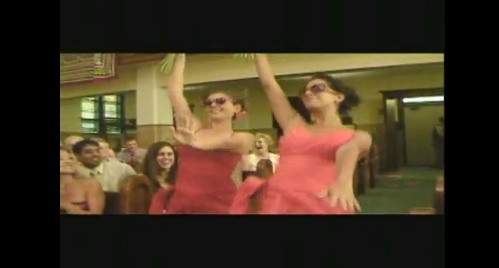 It’s even spawned its own (professionally-produced) faux sequel, the “JK Divorce Entrance Dance” (also embedded below). In case you haven’t seen it, the original video shows an entire wedding party boogieing down the aisle in Minnesota. Instead of a traditional wedding march, the couple picked Chris Brown’s “Forever.” YouTube’s content fingerprinting system picked that up and the copyright holders were able to place click-to-buy ads on the video which linked to downloads of the song on iTunes and Amazon. YouTube reports that the click-through rate on those ads was two times higher than the overall click-through rate for those types of ads on the site, and that there was even a spillover effect on official “Forever” music video, which also saw the click-through rate son the same ads go up 2.5 times the average. (It makes sense that would be higher since people going to the official video presumably are more interested in the song itself). Not only that, but “Forever” climbed the music charts, reaching the No. 4 spot on iTunes (it is now No. 15) and No. 3 spot on Amazon’s MP3 top seller’s list (it is currently No. 4). Not bad for a song that was released a year ago. YouTube presents this as proof that advertising works on viral videos even if they are audience produced. I’m not sure it proves anything other than that breakout videos are good advertising vehicles no matter where they come from. But YouTube needs to sell more of its video inventory to get to profitability, and the bulk of it is . . .